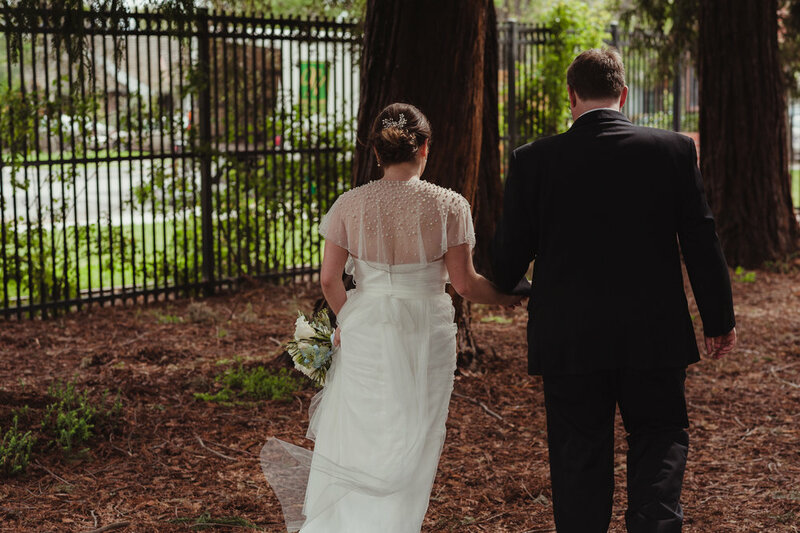 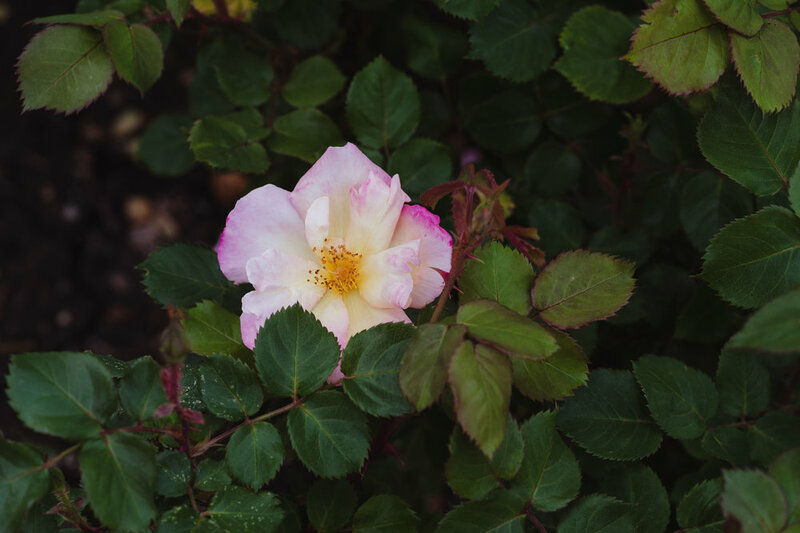 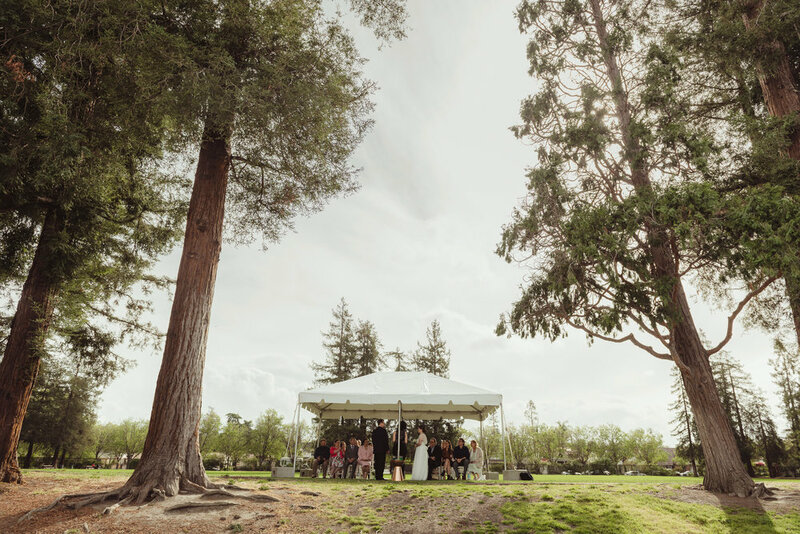 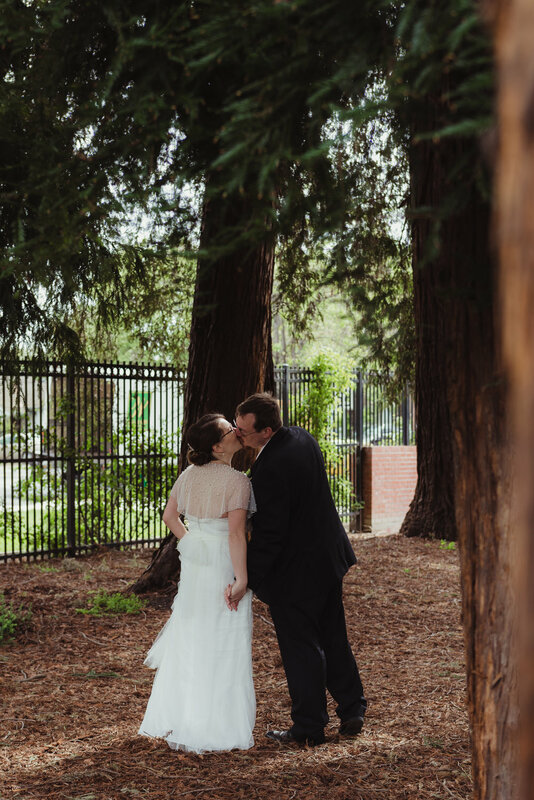 Diane and James aren't fussy people so getting married at the San Jose Rose Garden on a lovely spring day was the perfect way to celebrate. 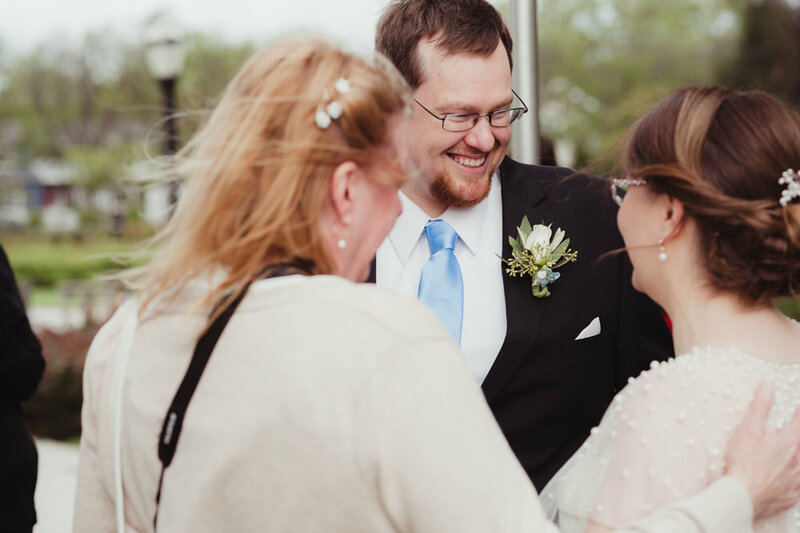 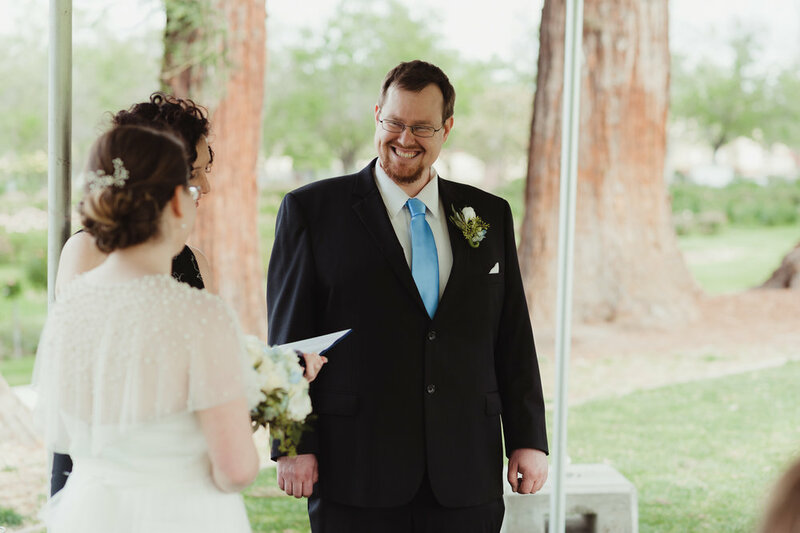 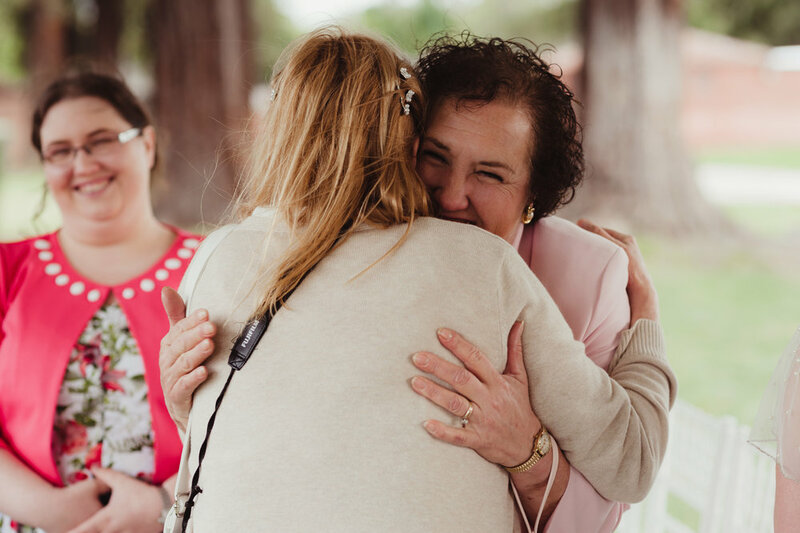 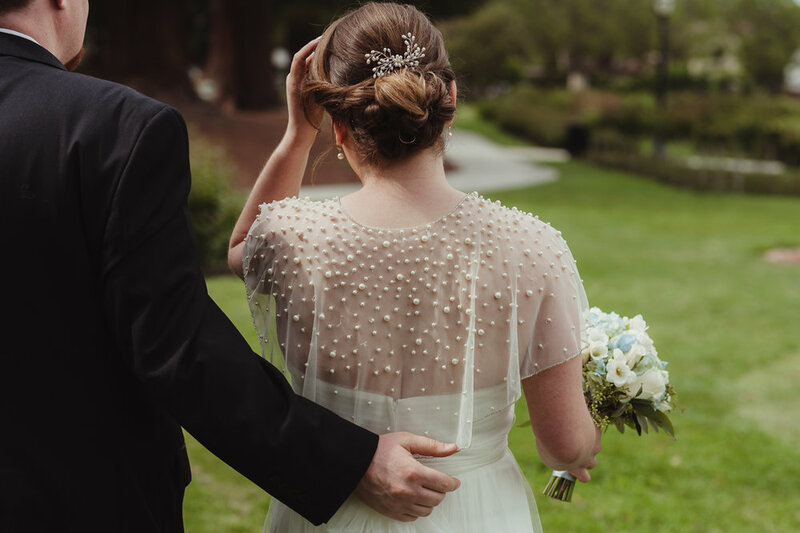 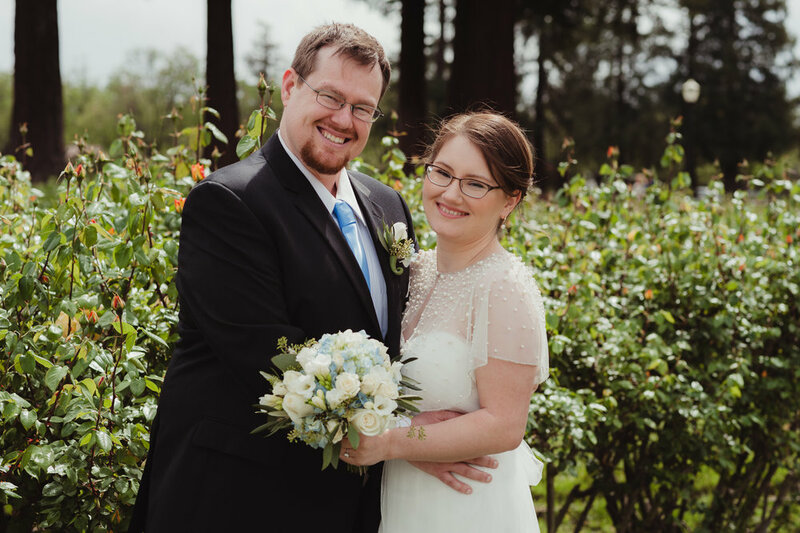 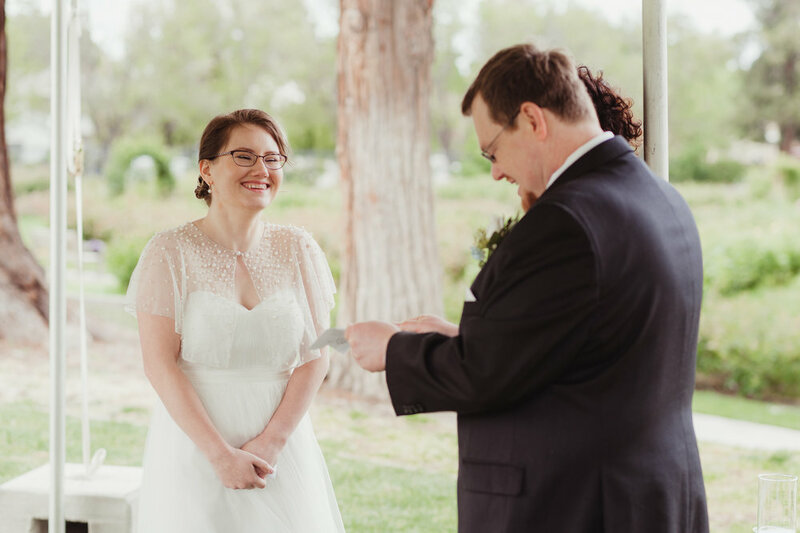 Naomi of Santa Cruz Officiant created the sweetest ceremony for the both of them, including how the two met sprinkled with a lot of their inside jokes. 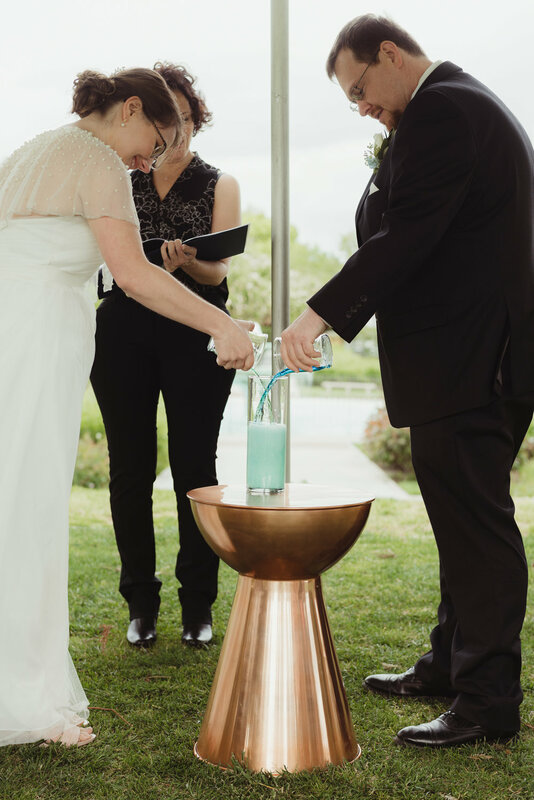 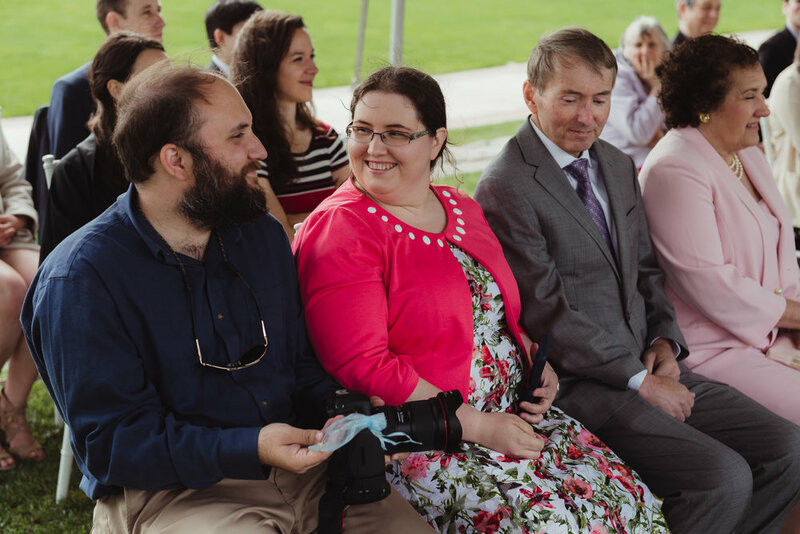 Self-proclaimed nerds, they sealed the ceremony by pour two colorful liquids together creating a beautiful little chemical reaction. 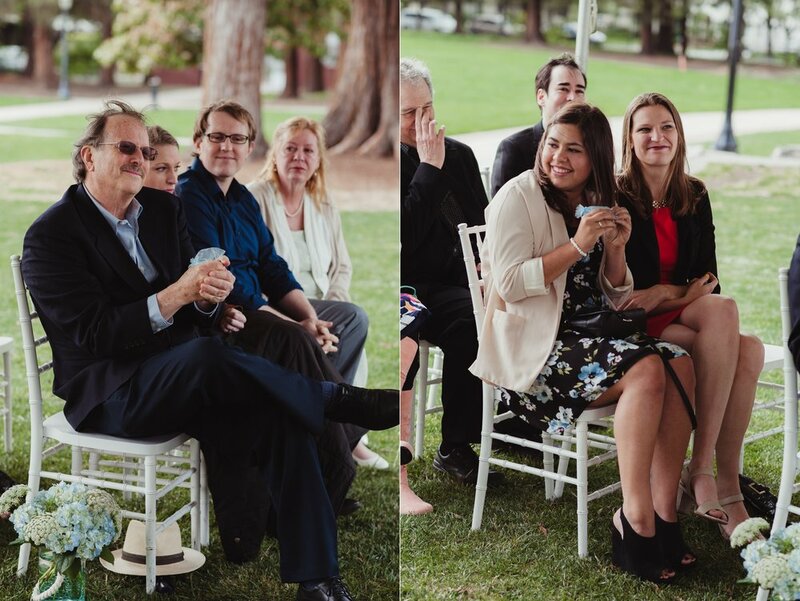 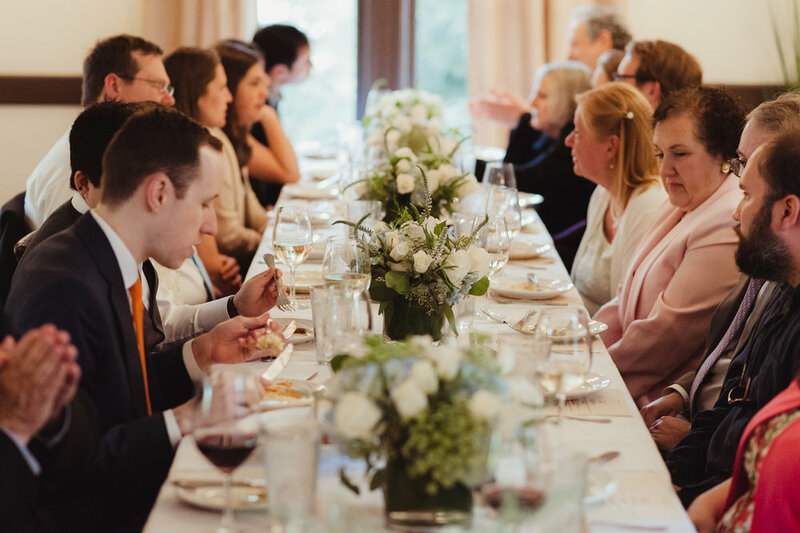 Afterwards, their friends and family were invited to a delicious dinner at Palacio in Los Gatos.